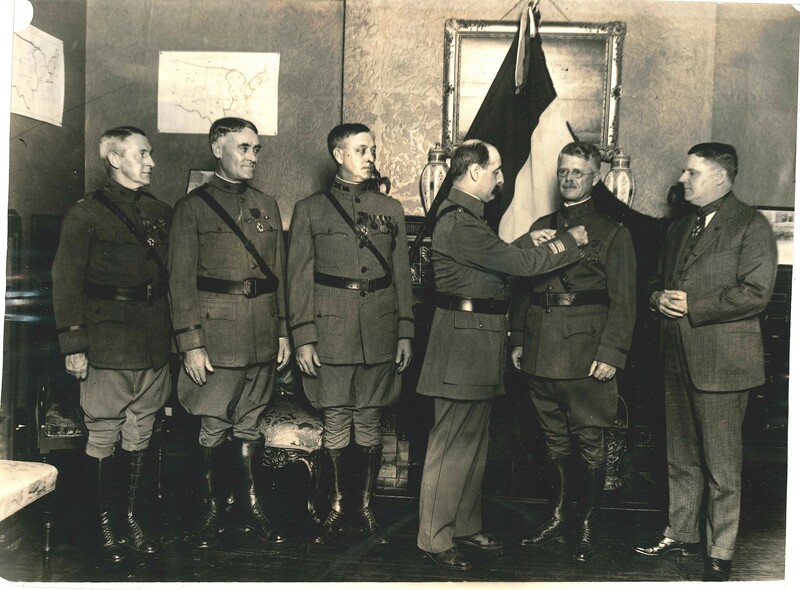 “Col George Dumont, Military Attache of the French Embassy, today pinned the medal of the Legion of Honor on the following American Officers–Left to right, Lt Col McGabe, Col J.T. Axton, Chief of Chaplains, Col Ashburn, Col John … Palmer, General Henry J Riley. 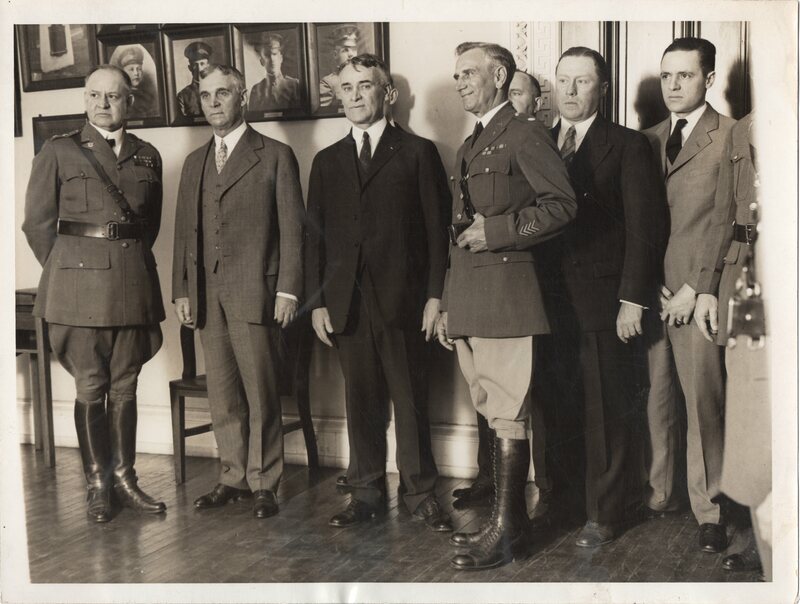 SEP 11, 1922” (author’s collection). 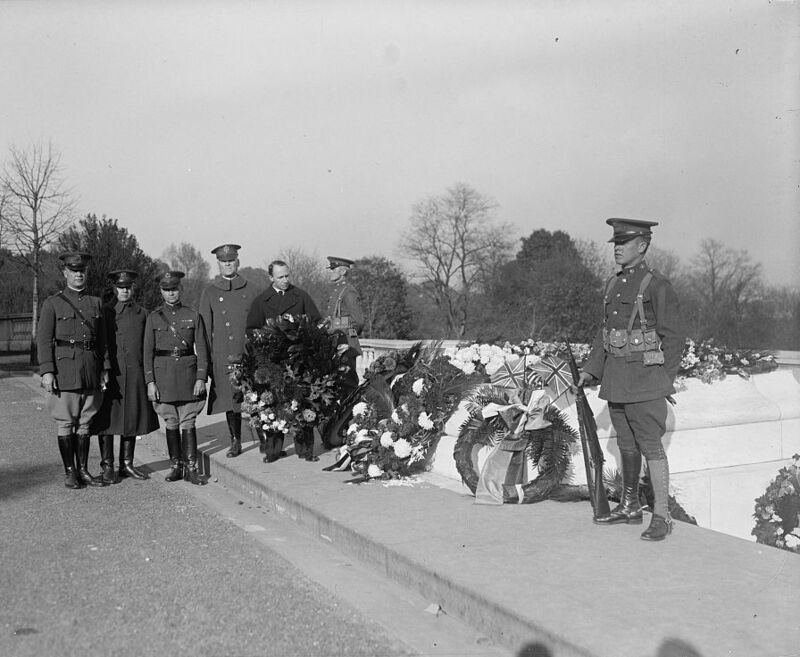 At the Tomb of the Unknown Soldier, sometime between 1921 and 1928. 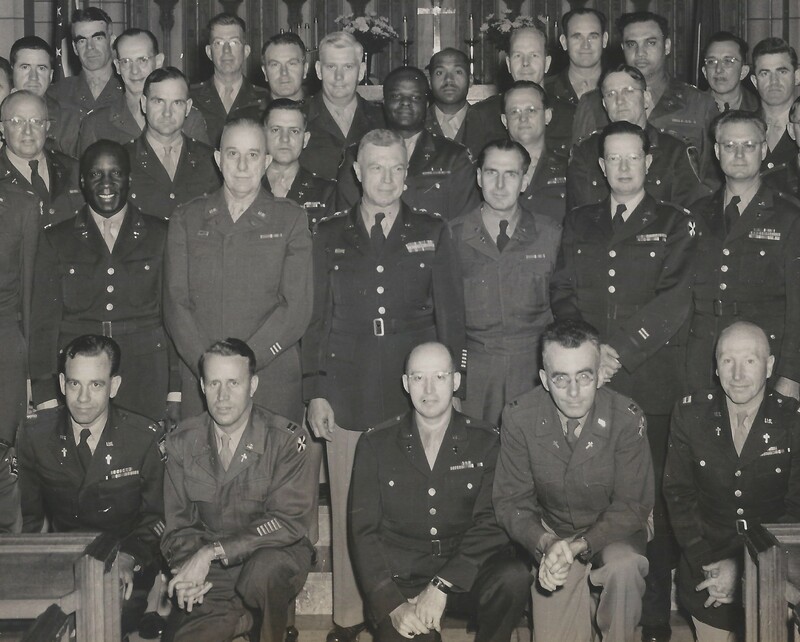 Of the five men facing the camera, from right to left: Dr. Norris S. Lazaron, one-time Chaplain at Large, U.S.A; Col J.T. 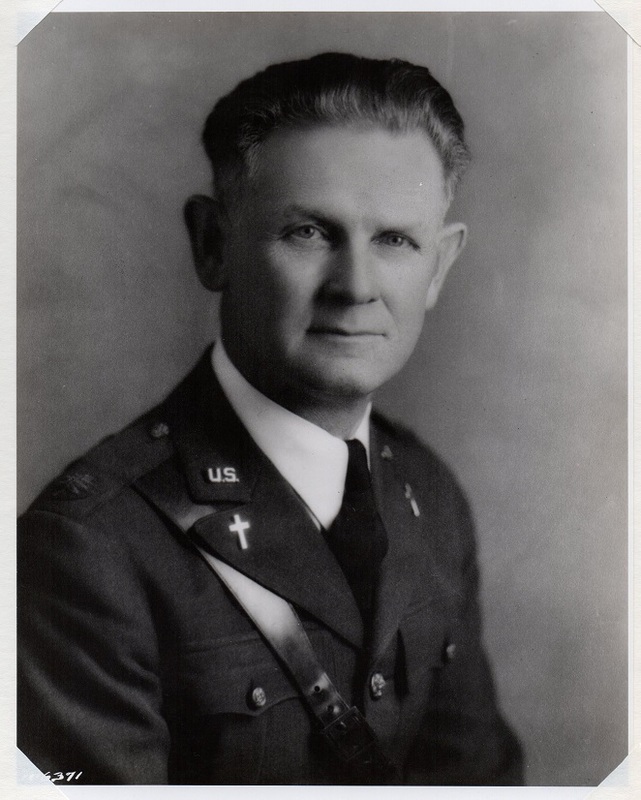 Axton, Chief of Chaplains; Col. Julian E. Yates, future Chief of Chaplains. 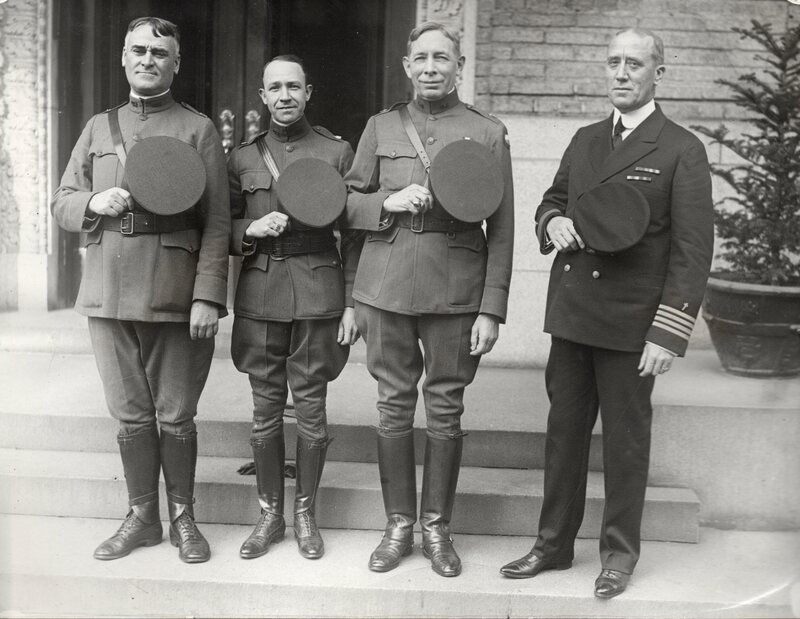 The two on the left I can’t identify (photo origin unknown). 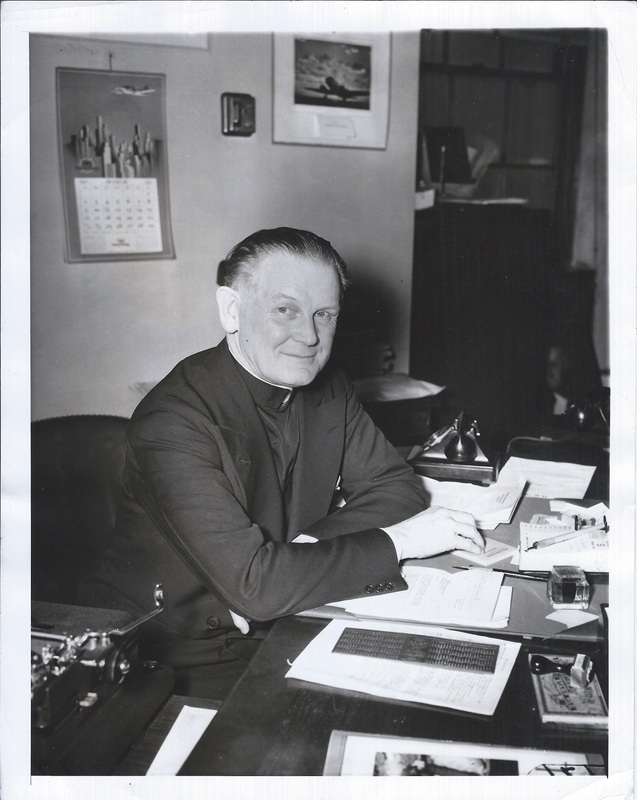 Colonel William R. Arnold, Chief of Chaplains, 1937-1945 (formerly in author’s collection). 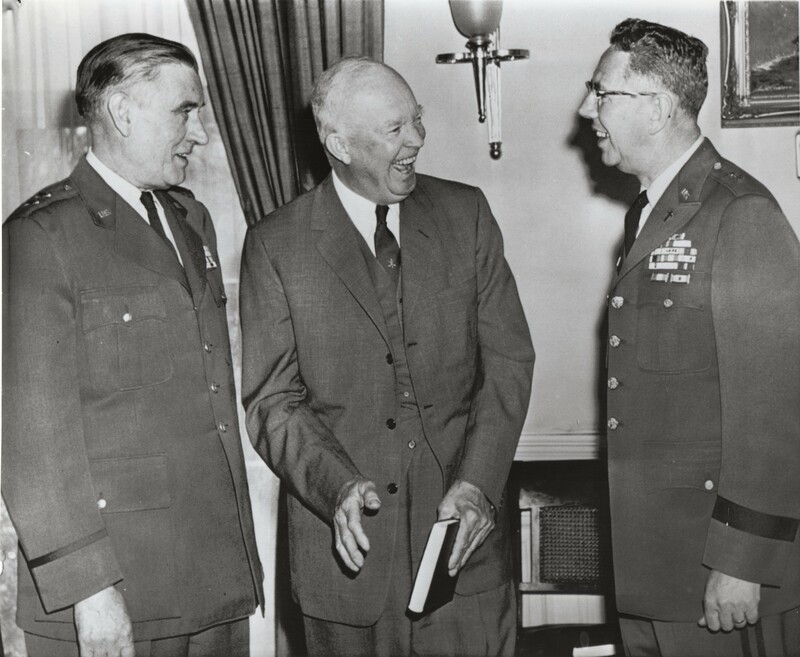 “WASHINGTON, March 31,–BANG FROM A BOOK– President Eisenhower laughs heartily with Air Force Chief of Chaplains Terence P. Finnegan, left, and Army Chief of Chaplians Frank A. Tobey during a White House visit today when they presented him with a copy of the new armed forces hymnal, which he holds…1959” (author’s collection). 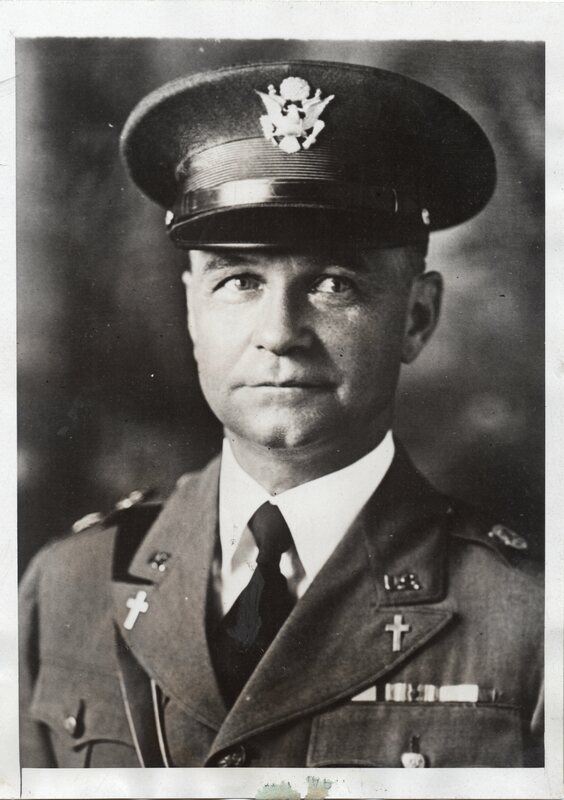 The author with Chaplain (MG) David H. Hicks, Chief of Chaplains 2003-2007, at Camp As Sayliyah Qatar, 19 March 2007 (author’s photo). Not a great picture, but Chaplain (MG) Donald Rutherford, Chief of Chaplains 2011-2015, speaking with the author before signing for him his manuscript from the National Prayer Breakfast at Fort Leonard Wood Missouri in 2014. 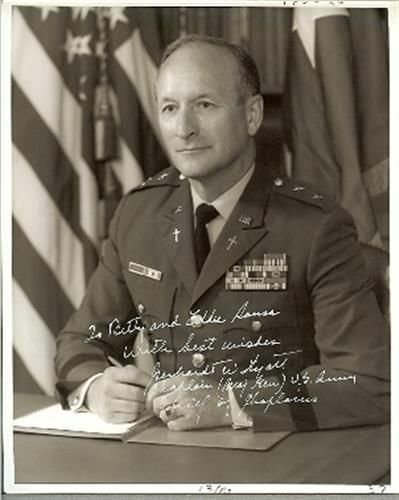 The autograph can be seen on this page (U.S. Army photo).